At this moment you could be anywhere, doing anything. Instead, you sit alone before a screen. So what’s stopping us from doing what we want? Being where we want to be? Each day we wake up in the same room and follow the same path, to live the same day as yesterday. Yet at one time each day was a new adventure. Along the way, something changed. Before our days were timeless, now our days are scheduled. They gave us money and in return, we gave them the world. Where there were trees that cleaned our air are now factories that poison it. Where there was water to drink, is toxic waste that stinks. Where animals ran free, are factory farms where they are born and slaughtered endlessly for our satisfaction. Over a billion people are starving, despite us having enough food for everybody. Where does it all go? 70% of the grain we grow is fed to fatten the animals you eat for dinner. Why help the starving? You can’t profit from them. We aren’t destroying the planet. 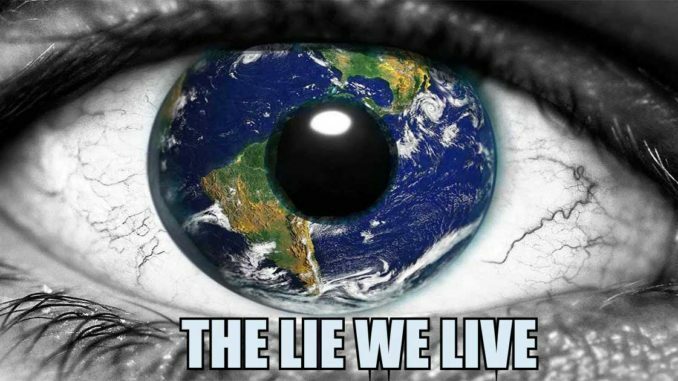 We are destroying all life on it. Every year thousands of species go extinct. And time is running out before we’re next. If you live in America there’s a 41% chance you’ll get cancer. Heart disease will kill one out of three Americans. We take prescription drugs to deal with these problems, but medical care is the third leading cause of death behind cancer and heart disease. We’re told everything can be solved by throwing money at scientists so they can discover a pill to make our problems go away. But the drug companies and cancer societies rely on our suffering to make a profit. We think we’re running for a cure, but really we’re running away from the cause. Our body is a product of what we consume and the food we eat is designed purely for profit. We fill ourselves with toxic chemicals. The bodies of animals infested with drugs and diseases. But we don’t see this. The small group of corporations that own the media doesn't want us to. Surrounding us with a fantasy we’re told is a reality. It’s funny to think humans once thought the earth was the center of the universe. But then again, now we see ourselves as the center of the planet. We point to our technology and say we’re the smartest. But do computers, cars, and factories really illustrate how intelligent we are? Or do they show how lazy we’ve become? We put this “civilized” mask on. But when you strip that away what are we? Perhaps we fear we’re not alone. That we are a part of a much bigger picture. But we fail to make the connection. We’re okay killing pigs, cows, chickens, strangers from foreign lands. But not our neighbors, not our dogs, our cats, those we have come to love and understand. We call other creatures stupid yet we point to them to justify our actions. But does killing simply because we can, because we always have, make it right? Or does it show how little we’ve learned? That we continue to act out of primal aggression rather than thought and compassion. One day, this sensation we call life will leave us. Our bodies will rot, our valuables recollected. Yesterday’s actions all that remain. Death constantly surrounds us, still, it seems so distant from our everyday reality. We live in a world on the verge of collapse. The wars of tomorrow will have no winners. For violence will never be the answer; it will destroy every possible solution. Presidential elections might as well be a coin toss. It’s two sides of the same coin. We choose which face we want and the illusion of choice, of change, is created. But the world remains the same. We fail to realize the politicians don’t serve us; they serve those who fund them into power. But I realize there's one reason why this is the only time I want to be alive. Because here today, we have an opportunity we never had before. The internet gives us the power to share a message and unite millions around the world. While we still can we must use our screens to bring us closer together, rather than farther apart. This present moment is what every step, every breath, and every death has led to. We are the faces of all who came before us. And now it is our turn. You can choose to carve your own path or follow the road countless others have already taken. SUBTITLES: Watch with subtitles in over 40 languages through “Settings” in the lower right corner of the video. Subtitles currently available in over 40 languages, including Serbian, Croatian, Bosnian, Slovenian, Macedonian, Spanish, Russian, Chinese (Taiwan, Hong Kong), Japanese, Indonesian, Arabic, Dutch, Vietnamese, French, German, Portuguese, Italian,Turkish, Polish, Greek, Albanian, Bulgarian, Swedish, Hebrew, Lithuanian, Czech, Danish, Estonian, Finnish, Hungarian, Persian/Farsi, Romanian, Slovak & more. Prof. dr Danica Grujičić: Krajnje Je Vreme Da Pamet Progovori !